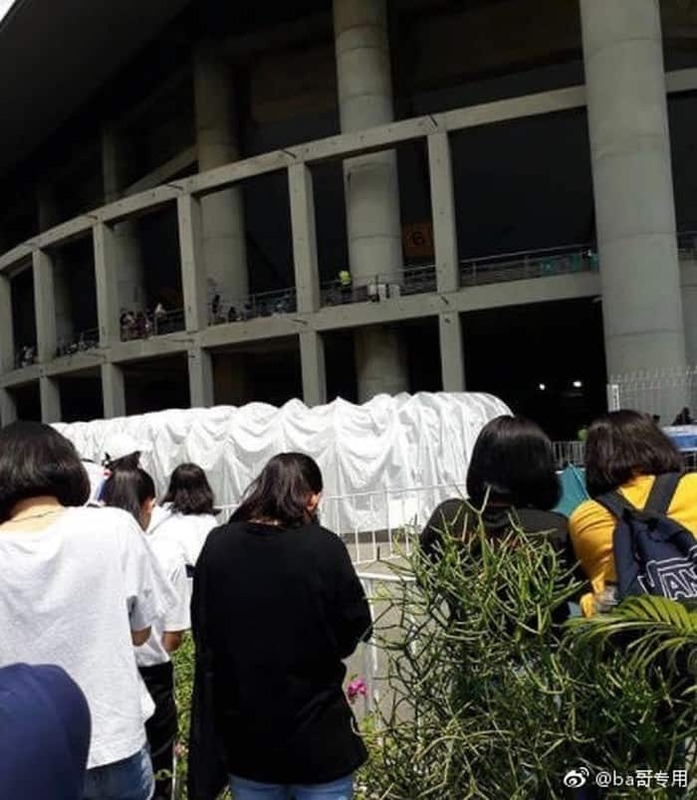 The fans are said to have mixed opinions about Wanna One’s extreme measures to avoid sasaengs (over-obsessive fans of a Korean idol) in Thailand recently. Last September, the famous idol group Wanna One was in Thailand to perform at the KCON music event. However, it seems that the behind-the-scenes stories of Wanna One have also attracted more attention from the fans than the group’s performance at the event. The fact that the group’s manager pushed and shoved a fan at the airport caused a lot of controversy on SNS previously and this time so do Wanna One’s extreme measures to avoid sasaengs. 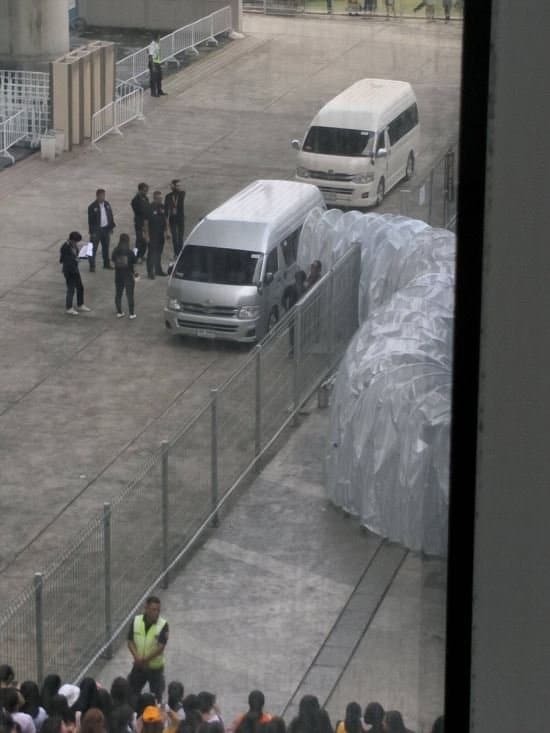 To be specific, the KCON’s organizers created a plastic walking path from WANNA ONE’s car to the stage so as to protect the members. The path was in fact too small and fans even joked that “a fly couldn’t even get through”. The story about this plastic “runway” has attracted many opposed opinion from the netizens. Many claimed that this walking path was unnecessary, making the fans feel disdained from the idols. On the other hand, other people also criticized the fans’ outragous behavior that caused the organizers to make that “unfortunate runway”. WANNA ONE is one of the best rookies that are famous for having a huge fanbase and even sasaeng fans. This is also the group that is constantly being attacked by their own fans. The group has also been under attack from sasaeng fans for around 10 times since their debut. [+160, -7] Kids, none of this will matter once you’re older~ save your allowance money and spend it on eating yummy things, wearing clothes you like~ keep the fangirling to watching them on TV~ Your future is more important than kids who think of you guys as ATMs. [+129, -30] The manager went too far but I think the problem is the fans who started it. [+63, -11] It’s hard to judge without knowing what happened before and after, there are way too many crazy fangirl b*tches nowadays. [+12, -2] What I don’t get at all is why it’s always girls who go this crazy over idols. I’m past the point of feeling amazed, it just looks so barbaric… So they’re really just in awe over a face and following them around and screaming at them and yelling out their names and feeling happy at being looked at after being ignored the whole time? That seems so pathetic, do women not feel that…? Am I the only one who thinks they’re weird? It feels like a cult. Do they have no self esteem? Or are they too deep down their beliefs that they don’t even realize how embarrassing they’re being? [+10, -7] Stupid fangirls deserve to be beaten!! !